Lancashire Cottage Cemetery is located 13.5 Kms south of Ieper town centre on a road leading from the N365 connecting Ieper to Wijtschate, Mesen, Ploegsteert and on to Armentieres. 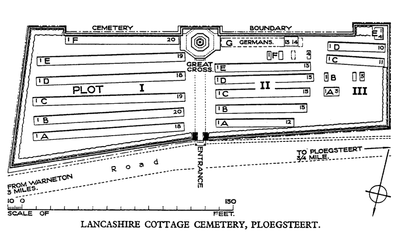 On reaching the village of Ploegsteert the first left hand turning leads onto the rue de Ploegsteert. The cemetery lies 1 Km along the rue de Ploegsteert on the right hand side of the road. Lancashire Cottage Cemetery was begun by the 1st East Lancashires (who have 84 graves in it) and the 1st Hampshire (who have 56) in November 1914. It was used as a front line cemetery until March 1916 and occasionally later. 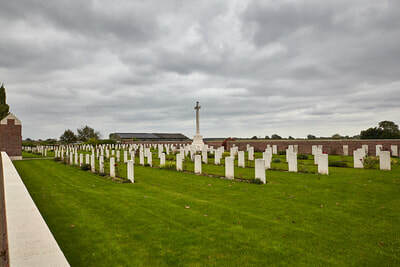 The cemetery was in German hands from 10 April to 29 September 1918 and they made a few burials in it during that spring and summer. 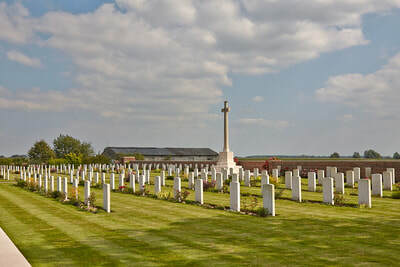 The cemetery contains 256 Commonwealth burials of the First World War. 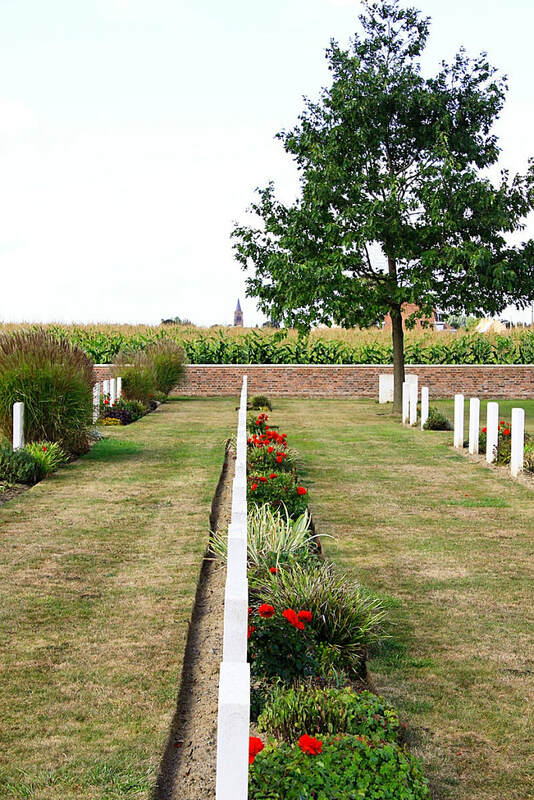 There are also 13 German war graves. 25th February 1915, aged 40. 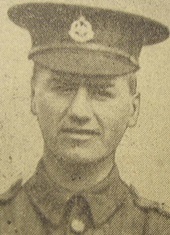 Husband of Mrs. B. Wignall (formerly Barry), of 32, Peter St., Burnley. Formerly 42 Leyland Road, Burnley. 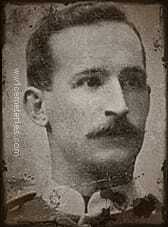 A veteran of the Boer war, he was a professional soldier. 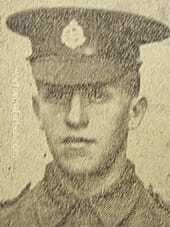 1st November 1914, aged 24. Son of John and Mary Battle, of 9, Charles Row, Burnley. No.7 Platoon, "B" Coy. 1st/6th Bn. 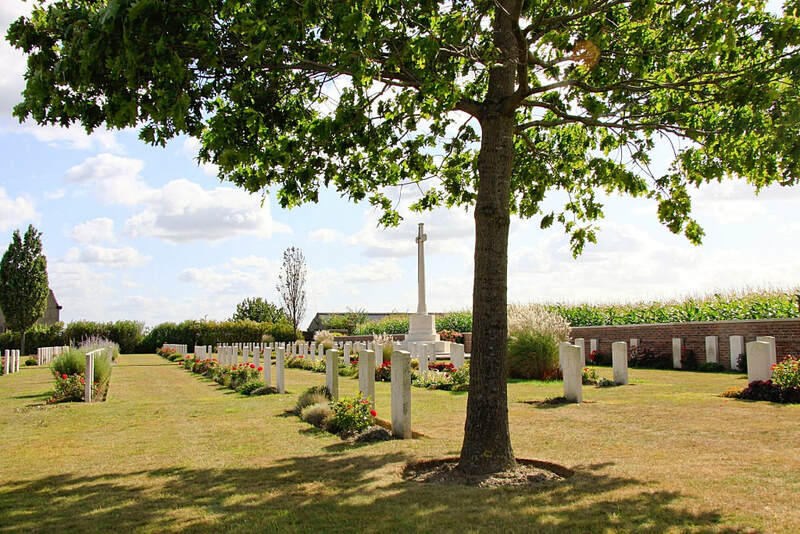 29th May 1915, aged 20. 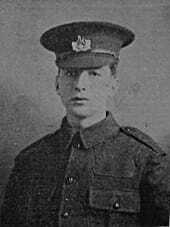 29th November 1914, aged 19. 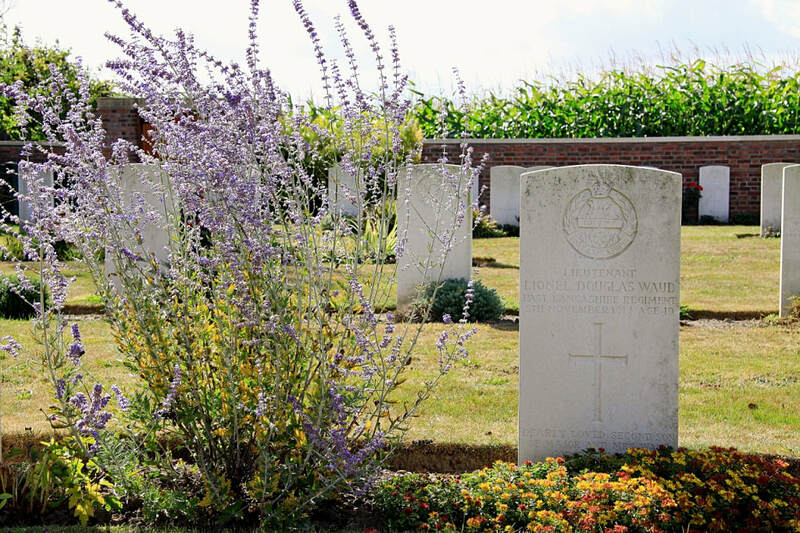 22nd May 1915, aged 22. ​Son of Thomas John and Elizabeth Cork, of 9, Jubilee St., St. Philip's, Bristol. 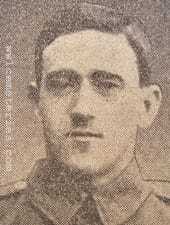 17th February 1918, aged 28. Son of Cornelius and Margaret Crawley, of 255, Burt St., Boulder City, Western Australia. Native of Melbourne, Victoria, Australia. 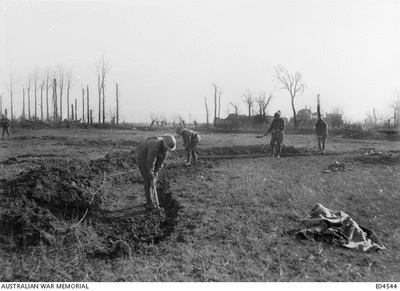 Formerly a civil servant with the WA Mines Department, Lt Crawley enlisted on 5 November 1915 and with the rank of Orderly Room Sergeant, he embarked with Battalion Headquarters from Fremantle, WA, aboard HMAT Suevic, (A29), on 6 June 1916. 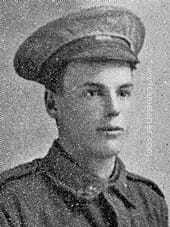 He served on the Western Front where he was killed in action on 17 February 1918, aged 28 years. 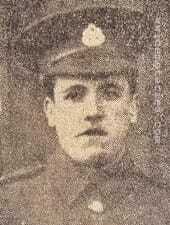 Son of Thomas and Bridget Feeney, of 38, Towneley St., Burnley. Lived at 32 Tunnel Street, Burnley. "A Quiet Month For The Battalion"
12th January 1915, aged 22. 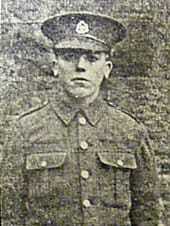 ​John Holden was killed in 1915, aged 22. 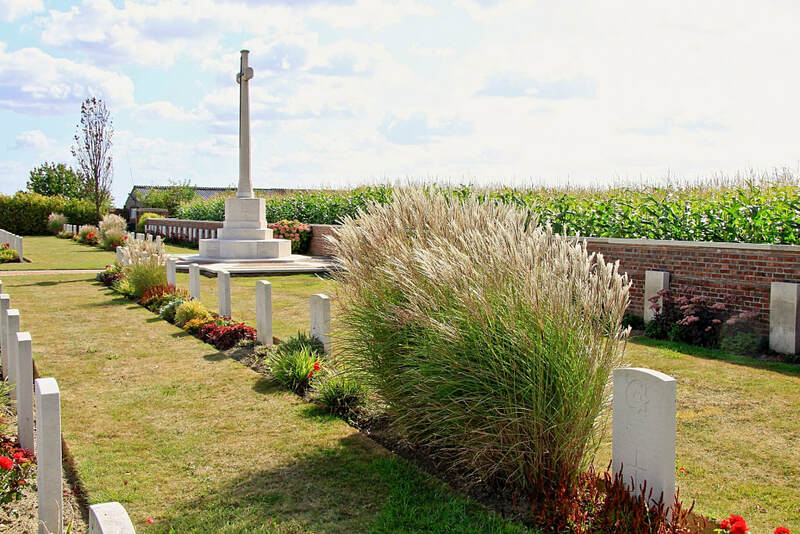 He had originally enlisted in Burnley and at the time of his death his battalion was serving in the Ploegsteert area of Belgium, close to the border with France. 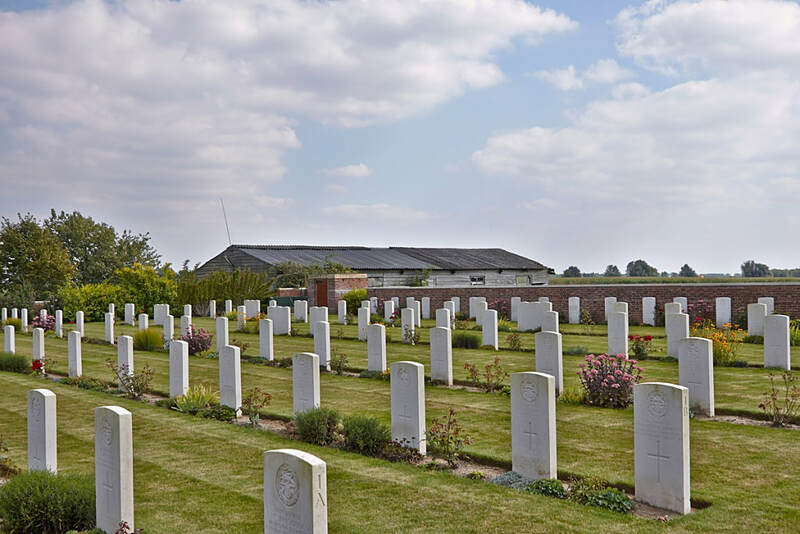 January 1915 was, according to the Regimental history, a quiet month for the battalion with two officers wounded, 20 other ranks killed and 53 wounded. 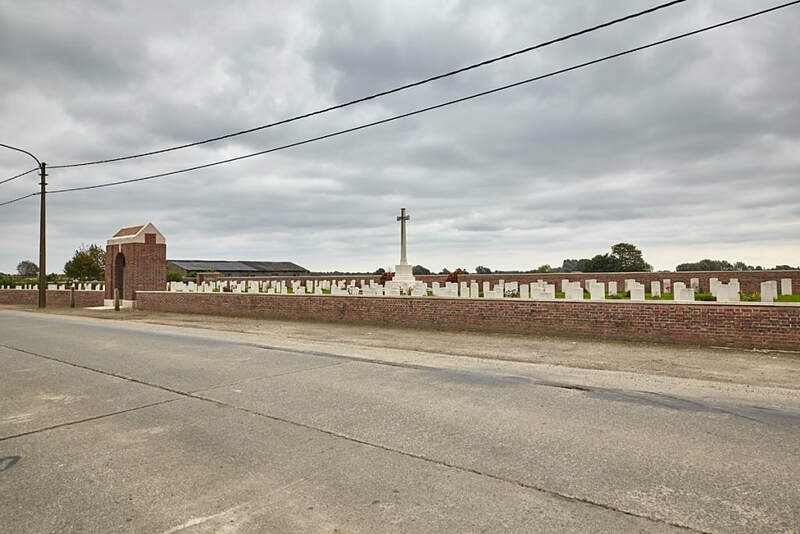 Most of the month had been spent draining flooded trenches and repairing breastworks, along with constructing a new defensive line along the St. Yves - Le Touquet road. It was during this period that John was killed. 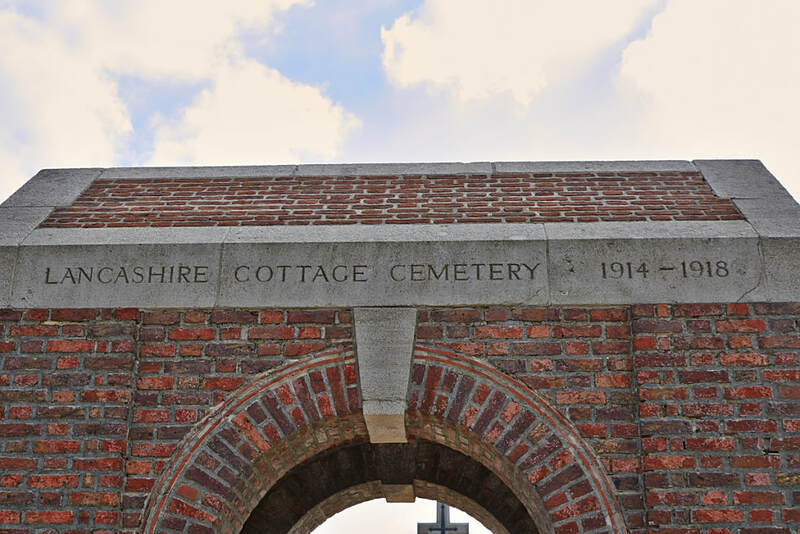 He was buried in the immediate vicinity and today lies in Lancashire Cottage cemetery, which stands across from Ploegsteert Wood and was begun by men of his battalion in November 1914. 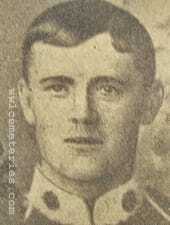 ​John had been born in 1893, the oldest son of John Holden and Mary Bonstead who was originally from Carlisle. At the time of his birth the family lived at 130 Finsley Gate, Burnley where John Snr. was working as a Pavoirs labourer. By 1901 there were nine children including John Holden living at the cramped Finsley Gate property. John had six sisters, Isabella, Elizabeth, Edith, Mary, Florence and Maggie and two brothers, James and Henry. John's sister, Mary was helping in the house as a her mother's domestic helper. On leaving school, John found work with Burnley Corporation as a Tram Car cleaner, the family had now moved to 7 Hinton Street in the Fulledge area of the town. Also now living with the family and born in December 1908 was Allan, shown as a grandson, although at the time all of the sisters were single. 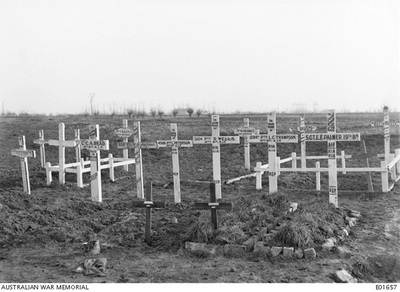 John's sister, Elizabeth Holden died in 1911 aged 29 while another sister, Mary died aged 31 in 1917. 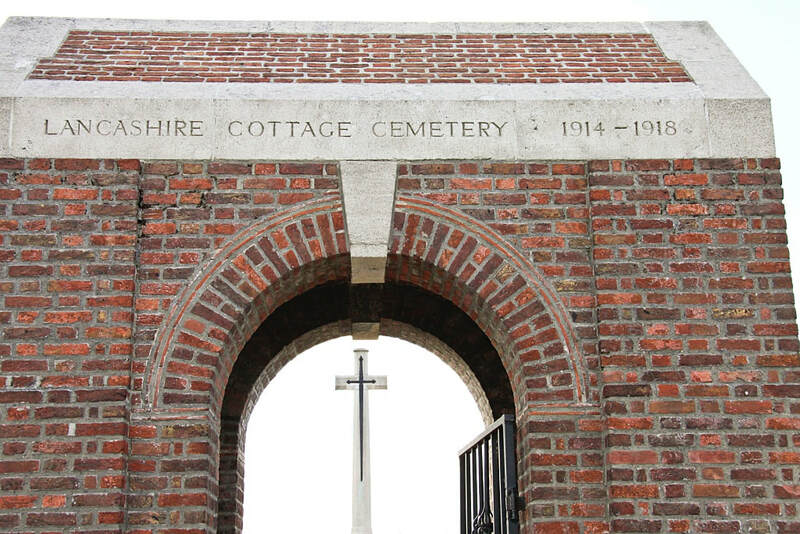 His parents John and Mary died in 1929 and 1936 respectively, all are commemorated on a remarkably well preserved headstone in the cemetery at Burnley, which carries the following words; Also of Lance-Corpl. John Holden, their son. Who was killed at Ploegsteert, in France, on January 12th, 1915, aged 22 years. Allan, the grandson died at Burnley in 1979, he was 70. 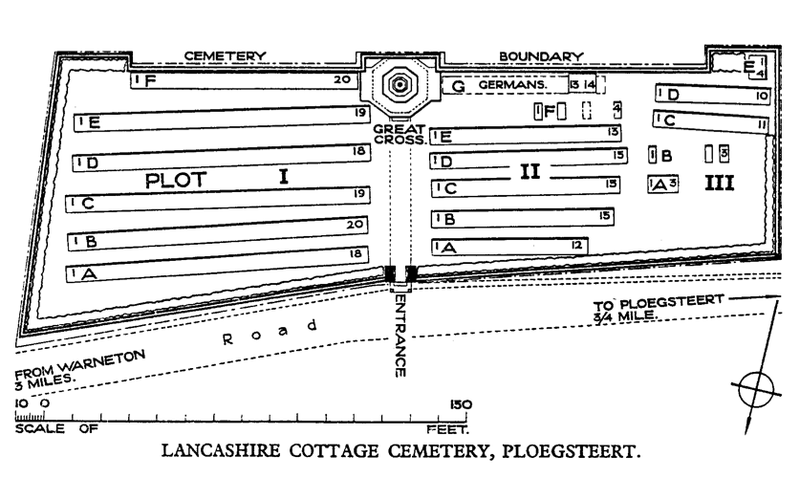 The inscription on John Holden's parents' grave at Burnley cemetery and his grave at Lancashire Cottage Cemetery. 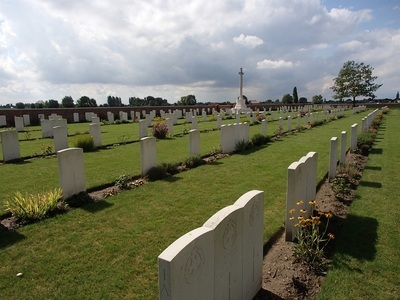 John's headstone is on the left, he is buried together with two other East Lancashire men, all three were killed on 12th January 1915.
areas of those left at home. 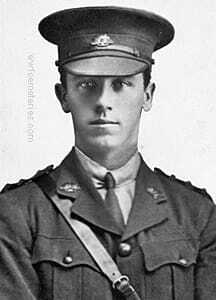 22nd December 1917, aged 35. Son of William and Helen C. Jackson, of 47, Arcadia Rd., Glebe Point, Sydney, New South Wales. Native of Albury, New South Wales. 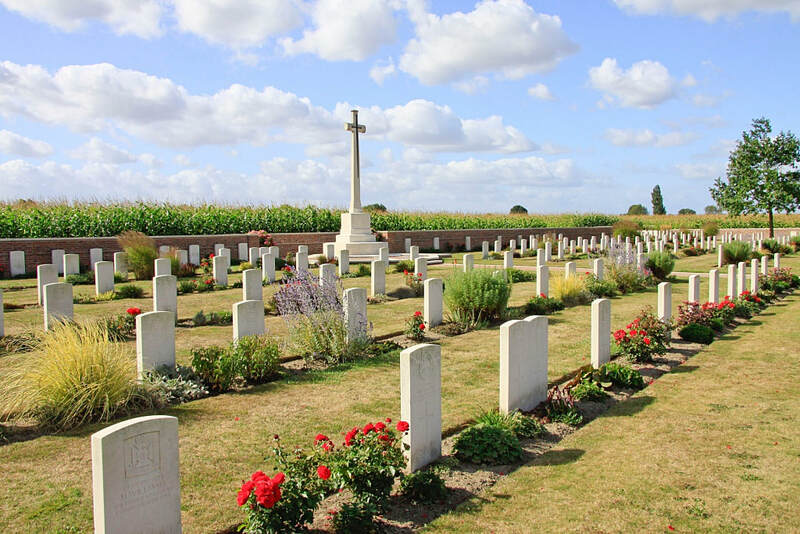 20th January 1915, aged 20. 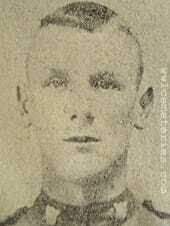 Son of Mr and Mrs. Ridge, of 77, Brunshaw Rd., Burnley. 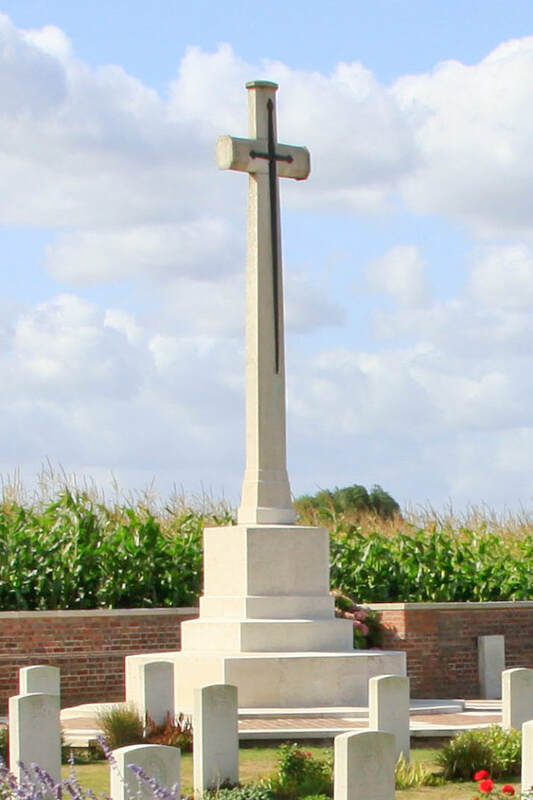 31st October 1914, aged 38. Husband of Fannie Stanley, of 2, Belgrave Terrace, Rathmines, Dublin. 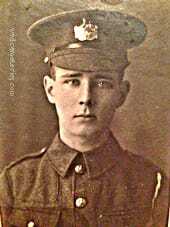 27th January 1915, aged 19. Shot whilst in the trenches the bullet entering the right side of his body and coming out of the left side. 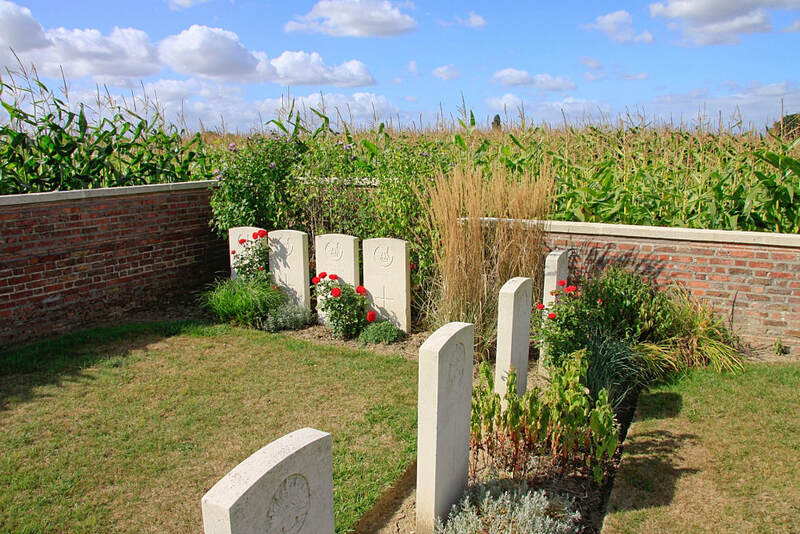 13th January 1918, aged 25. 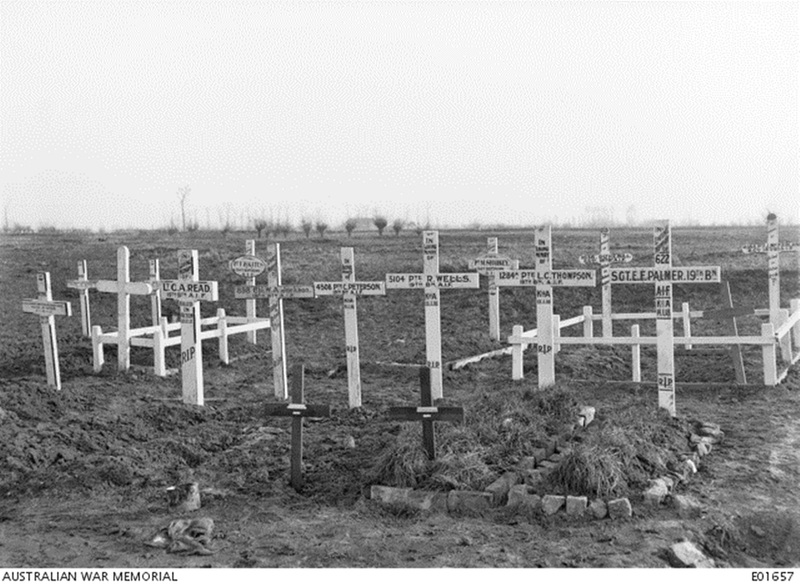 Son of Thomas and Sarah Adelaide Thompson, of "Woonona," Good St., Granville, New South Wales. A carpenter prior to enlisting, he embarked from Sydney aboard HMAT Ceramic (A40) on 7 October 1916. 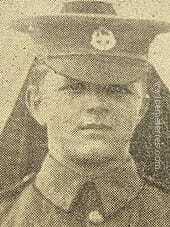 He was killed in action on 13 January 1918 while on a reconnaissance mission near Locre, Belgium, aged 25. 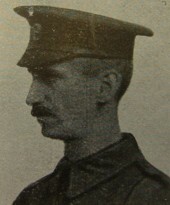 11th December 1914, aged 34. 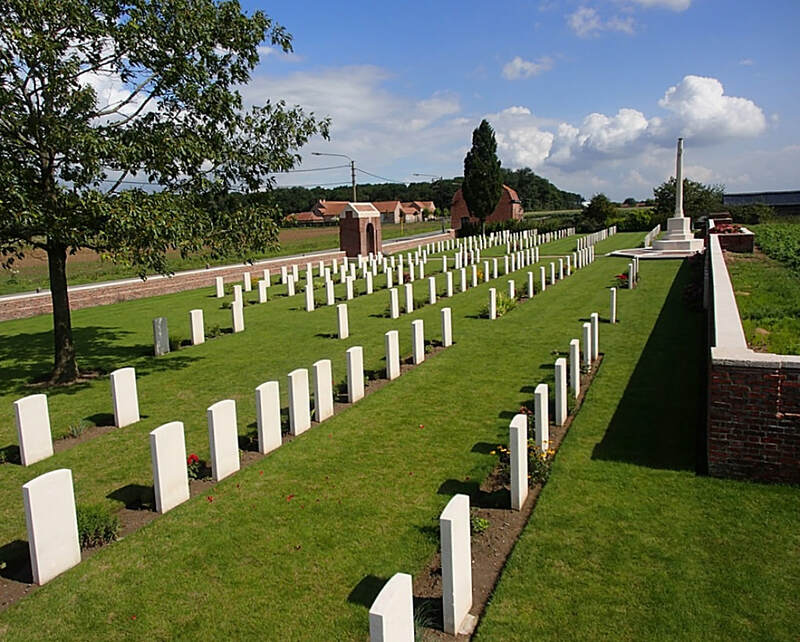 13th January 1918, aged 20. 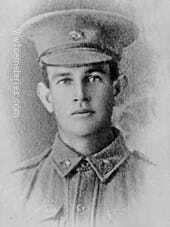 Son of David and Elizabeth Wells, of Deepwater, New South Wales. Native of Coolah, New South Wales. 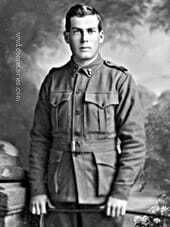 A labourer prior to enlisting, he embarked from Sydney aboard HMAT Kyarra (A55) on 3 June 1916. 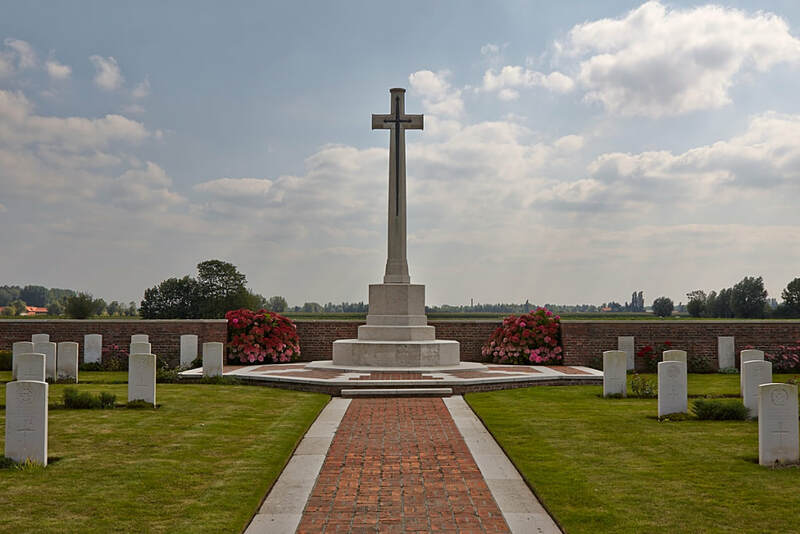 He was killed in action near Moat Farm, Messines area, Belgium on 13 January 1918, aged 20. He is buried in the Lancashire Cottage Cemetery, Belgium. 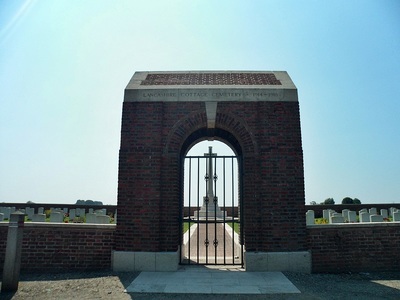 Pte Reuben Wells is the brother of 2147 Pte David Wells, who died of pneumonia in France on 3 December 1916. he is buried at the Bailleul Communal Cemetery Extension.